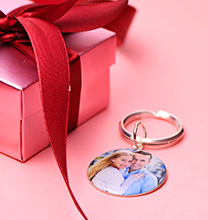 Show off who you love with the ultimate in fashion jewellery – the Personalised Silver Karma Necklace with Swarovski crystals. 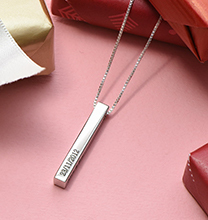 If you have a significant other and want to show off your love, this personalised pendant necklace is a great, chic and sophisticated option.The engraved circle pendant is made of 0.925 Sterling Silver and is attached to a Sterling Silver Rollo Chain.Choose up to two names to add to this pendant. 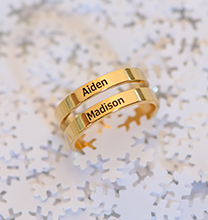 The names will be separated by beautiful White Swarovski Crystals. Very pleased with this necklace. 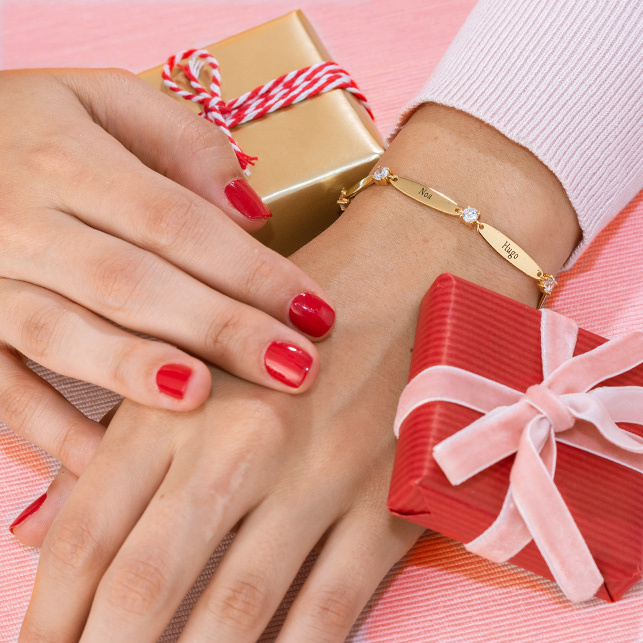 Great product excellent customer service. I had a small problem with my necklace and it was replaced no problem and the staff kept me updated with the returns and replacement 's progress. Brilliant! 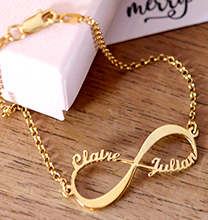 Brilliant necklace I love it very much. 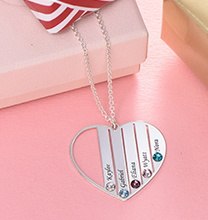 I wanted a subtle necklace with both childrens names on and came across this. It is lovely on and I am very pleased with it.